Catherine Brown as the first Chief Executive of the new Animal Health and Veterinary Laboratories Agency (AHVLA). 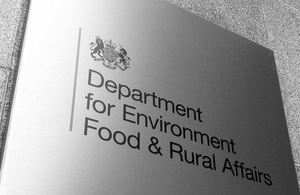 Caroline Spelman, the Secretary of State for the Environment, Food and Rural Affairs has appointed Catherine Brown as the first Chief Executive of the new Animal Health and Veterinary Laboratories Agency (AHVLA), which will come into being on 1 April 2011. Catherine Brown is currently Chief Executive of Animal Health, one of the two agencies being merged to form the new body. The appointment was made after an open competition which attracted many applications of high quality. Caroline Spelman announced on 29 June 2010 that the Government was going to create a new agency by merging the Veterinary Laboratories Agency and Animal Health. The new agency will continue to work with the livestock sector to reduce the risk and impact of animal diseases and deliver world class science. Catherine Brown brings significant experience from both the private sector and from delivering change in Animal Health to lead the new Agency. Catherine Brown is currently the Chief Executive of Animal Health. She was previously its Chief Operating Officer, having joined the Agency in 2007. Before joining Animal Health Catherine had a career with BUPA, where she was Managing Director of one of their Business Units, and Director of Change and Programme Management for their Insurance business. Her previous career included periods in the NHS and Unilever.